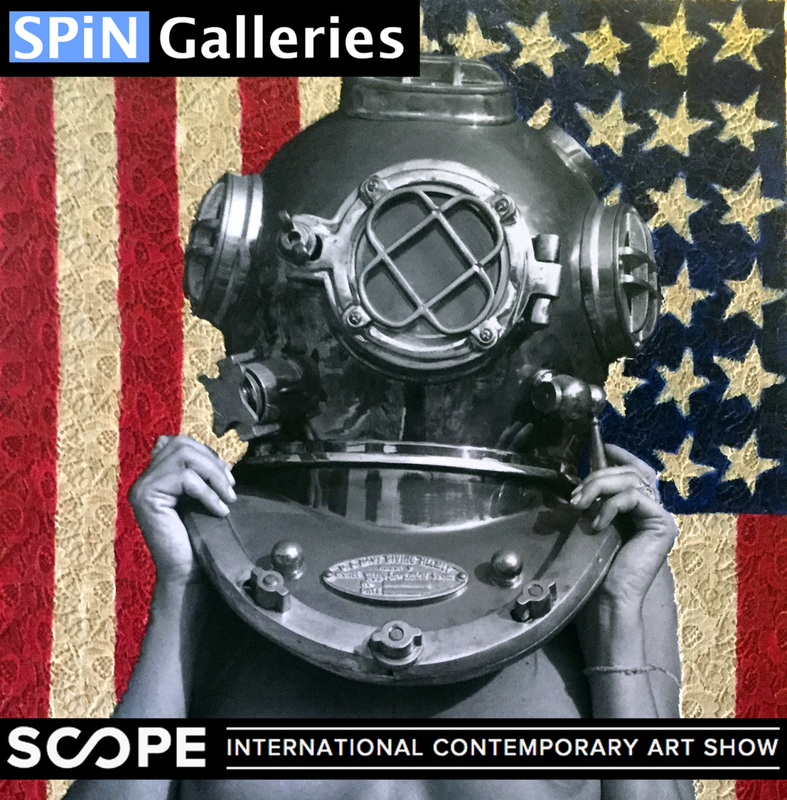 Bubbling up at the Scope Art Fair today. “Diver UP - Yankee Lace”. 40x60 Mixed Media on wood with resin, acrylic and lace.